Learn to drive from the very first lesson - professional, quality tuition - no sitting at the side of the road, wasting your valuable lesson time! Once you're comfortable with the basics, I will get you on the road gaining experience and confidence from the start!! The lessons I offer are structured to your individual needs, whether you’re a nervous first time driver or looking to enhance your current driving skills. My techniques and teaching style suit all driving abilities. As a dedicated, patient and friendly instructor my ethos is simple: From your very first lesson right through to your driving test, I aim to give you as much on the road driving experience as possible, giving you the confidence and skills to drive safely for life. New website launched!! 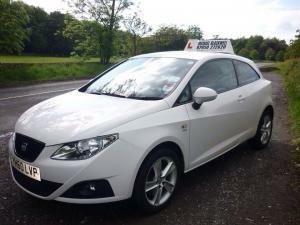 www.learn2drivewell.co.uk also find me on facebook Driving Instructor Otley and twitter learn2drivewell. Thank you.